If you are a theme developer, branding is another important thing for your business to grow. If you develop good themes, you should try to promote your themes to get more customers. Promoting themes also involve giving basic themes for free to show your work. If people like your free theme, they will surely consider buying your premium themes. One of the most popular ways is to put your WordPress themes in WordPress theme gallery and make it available for free. 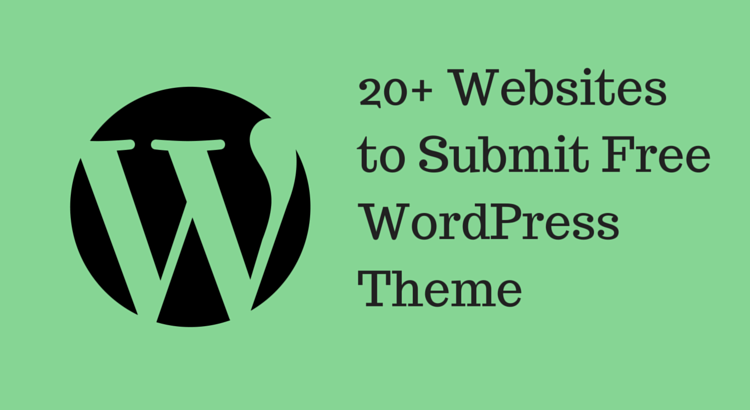 You can also try listing your theme to other popular free WordPress themes listing websites. I have collected few links where you can submit your free themes. These resources list free themes and make it available to thousands of their regular visitors. Note: If any of these link is not working, notify me. I will remove the dead link from the list. This list will be helpful for you to promote your free WordPress theme and make it available for thousands of people searching for free themes. I will keep on adding more websites in this list. If you know any other website which should be in list, do let us know. I will surely add it in our list.